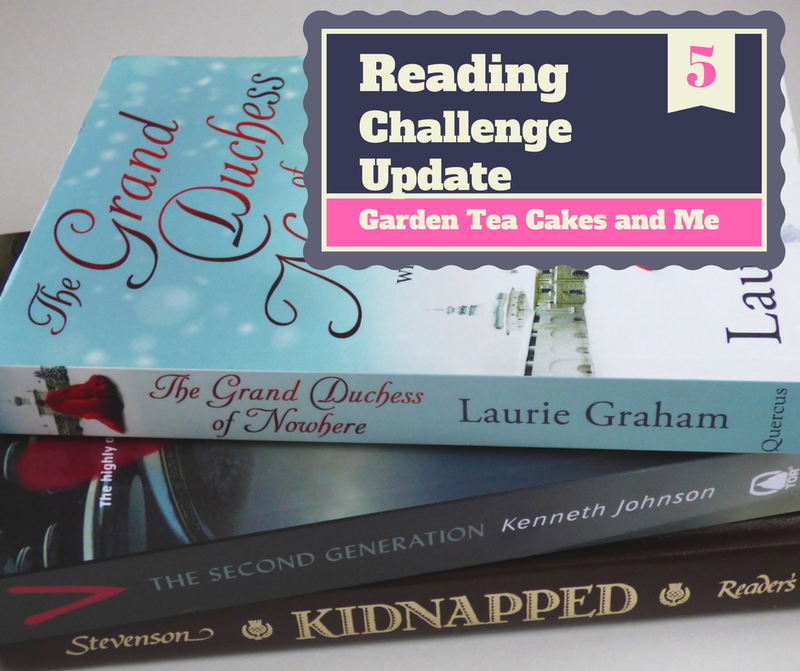 This is my final update on my 2016 Reading Challenge, I set myself a target to read 20 books during the course of the year. I have made progress with my plan to include well known authors and books that are seen as classics. 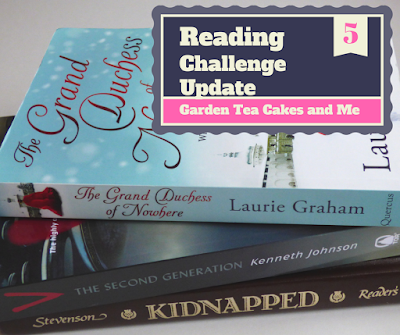 Catch up with my reviews below, before discovering how I did with my Reading Challenge - did I manage 20 books! Each review includes a brief story synopsis, absolutely no spoilers and my views on how I found the book and if I would recommend it. The adventures of David Balfour, a young orphan, as he journeys through the dangerous Scottish Highlands in an attempt to regain his rightful inheritance. I read this book as it filled my brief of wanting to read classic and well known authors. Stevenson is best known for writing Treasure Island, and maybe I should have chosen this book as my first novel from this author. But I had bought this in a box with other box and crafting goodies at a clearance sale. Set during 1751 in the Scottish Highlands and the seas around Scotland, shortly after the final Jacobite uprising against the English throne. David Balfour sets out from his rural home to seek out his birth right. He is double crossed by a family member and finds himself aboard a ship destined for America. In order to survive David makes some drastic decisions. During his journey he has to dodge English red coats, and seek the help of highlanders. I enjoyed the beginning and end of the story, but found the middle repetitive which left me rather disengaged from the story. You may enjoy it more than I, though I did enjoy the historical context of the book which also improved my knowledge of Scottish history. This book is available for free as an ebook on kindle or kindle app. Why not download the book yourself, I would love to know if you agree with my review. I scored this book 3/5 on Goodreads. There is one great love in everyone's life. For Ducky, Princess Victoria Melita, hers was a Romanov cousin, a member of the doomed Russian royal family. Her father is Prince Alfred, Duke of Edinburgh, Queen Victoria's second son. Her mother is Grand Duchess Marie, the daughter of Tsar Alexander II. Ducky seems doomed to be a pawn on her grandmother's dynastic chessboard. As Russia descends into the chaos of 1917 and the Romanov dynasty falters, Ducky is right at the heart of events. Exiled once more, she tells us her story. This is the first Laurie Graham book I have read, I will certainly read more I really enjoyed her style of writing. The story flowed and made for easy enjoyable reading, I can see why it sold over 2 million copies on Kindle. I have read little about the down fall of the Russian royal family, so I do not know how accurate this book is to history. I think my favourite novels are those with a historical setting, one of the reasons I so enjoyed this book. Although I knew there were connections between the royal houses of Europe I do not think I had really appreciated just how far it extended deep into the Baltic countries. I was totally taken in with the story, emotion and the characters in the book. You do have to pay attention, the book though easy to read has quite a complex story line. Lots of cris crossing of who is in which family and how are they connected to the other royal families. The harsh realities of war, winter and uprising goes to show what a survivor the main character Ducky is. I have no hesitation in recommending this book, an excellent read. I scored this book the maximum 5 stars. A very short story, with a Christmas theme, if I divulge any more I may give the story away. This is the first time I have read a Daphne du Maurier, I found it a good introduction to her writing style, which I enjoyed. This short story is anything but a happy Christmas, but it delivers a thought provoking message to the reader. Set in the home of a well to do family in the 1950's the storyline would not be out of place today. Reading the book most people today would be appalled at the attitude Mr & Mrs Lawrence show towards their unexpected Christmas visitors. But in fact I found it is a sad reminder that some attitudes, even today have not changed. This book is difficult to find, it is available from Amazon but worth looking out at secondhand bookshops. I have just started my next book a science fiction read - V The Next Generation by Kenneth Johnson, sadly it will not be finished in time for my 2016 Reading Challenge. Talking of my 2016 Reading Challenge, I am a little disappointed to have not hit my goal of reading 20 books. 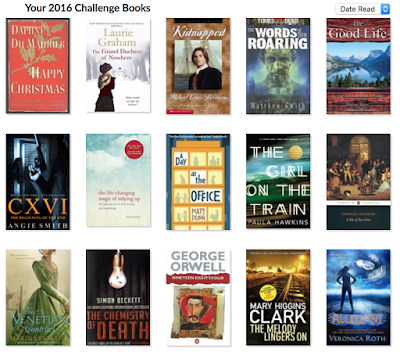 But I did manage 15 books, the same as my 2015 Reading Challenge. I realise that reading and discovering new hobbies such as crochet all use up time. So it is not such a bad thing to miss out on reading an extra 5 books, when I have discovered a new hobby. Contains affiliate links. If you purchase any of the books above using my link, I will receive a small commission. 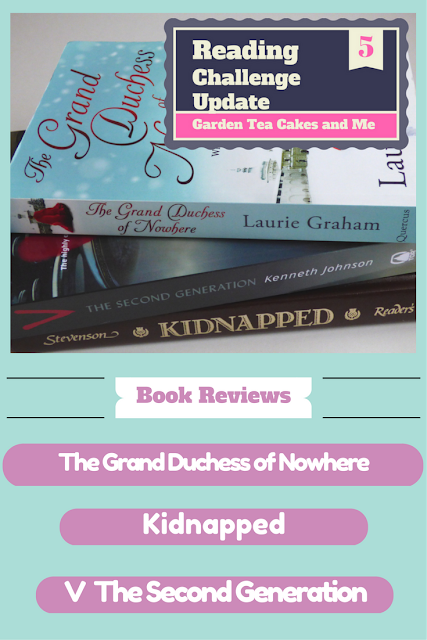 This income allows me to share my recipes, review and crafting adventures with you. I'm really into Karin Fossum at the moment - crime drama set in Norway. The chapters are really short, so you can just bounce through.